Black Kubaton Pen With Glass Breaker | BUDK.com - Knives & Swords At The Lowest Prices! 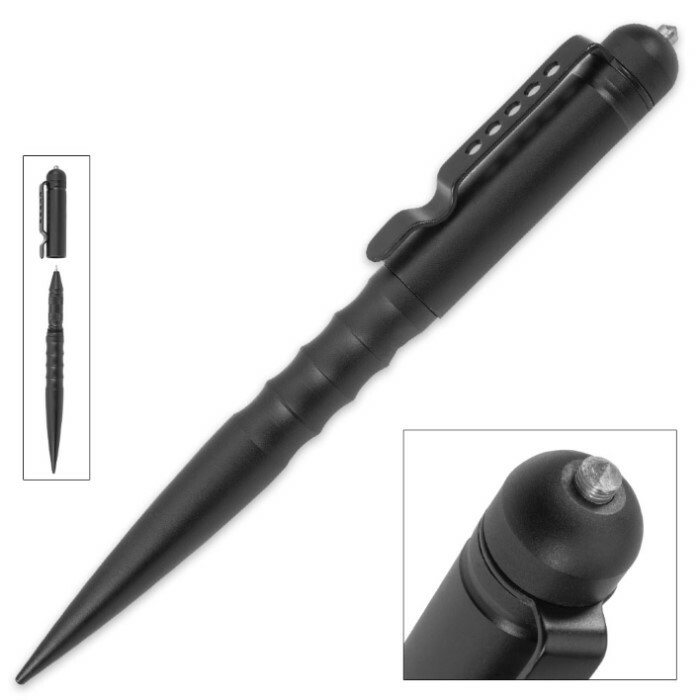 The tactical pen is often your last line of defense against an attacker! 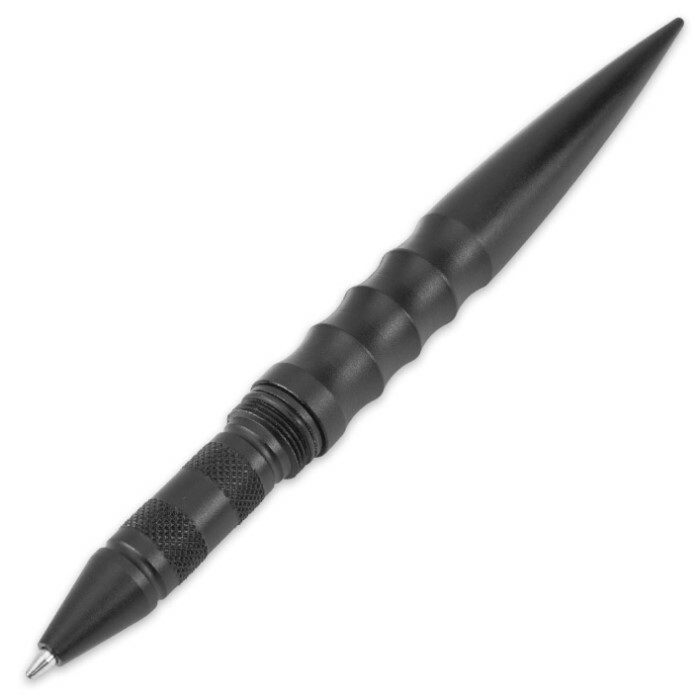 Our Black Kubaton Pen With Glass Breaker is a sleekly designed, refillable ink pen made of ultra-heavy-duty aluminum. It has a metallic pocket clip for ease of carry and a grooved, smooth slip-free grip. The pen features a glass breaker built right into the end of the twist off cap and the other end of the pen can very effectively be used as a kubaton, when necessary. This pen is very solid, can be used for self defense, has a glass breaker on one end, and it writes very smoothly.